Exciting programme of workshops, masterclasses, film screenings, and a two-day comics convention. Full details here. 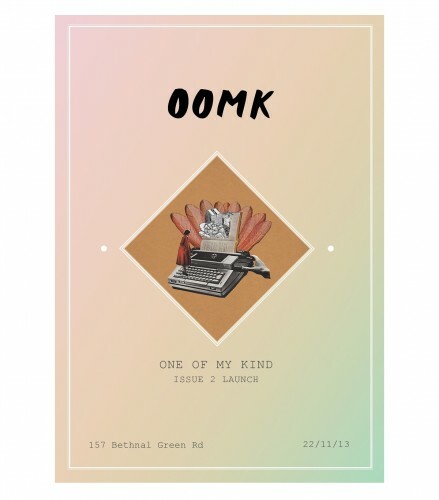 Following the success of Issue 1 – OOMK are back with Issue 2 celebrating all things PRINT. The launch this Friday at Motown will be accompanied by an exhibition of some of the works from the zine, as well as a floating exhibition up at Bookartbookshop – on display for two weeks. Full details here and here. 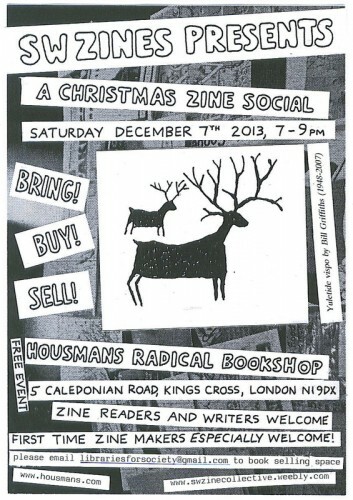 Presented by our lovely friends at SW Zines and in association with Housmans Bookshop, this free event will be a great place to meet zine readers and writers, eat and drink (bring something and share), as well as buy a few pressies! If you would like to sell you zines please email SW Zines librariesforsociety@gmail.com. Full details here. Hope to see you there – at one or all three!